I’ve been doing a bit of crochet research lately. One technique I’ve found fascinating is this tunisian style crochet done with an ordinary crochet hook. Look how unusual the results are – to me it doesn’t look like knitting or crochet, it has an air of Irish lace about it. Isn't this just beautiful? It's called De Danann. 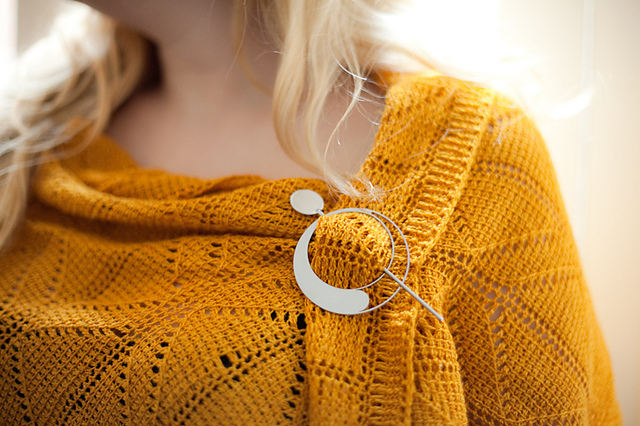 The designer is a an extremely talented ex graphic artist from Dublin named Aoibhe Ni. (Actually, she lives very close to my husband's brother who lives in Co Meath, small world). She starts you off with a free taster pattern for the Pax shawl (below). It takes a bit of nutting out, but is fun and exciting to do. 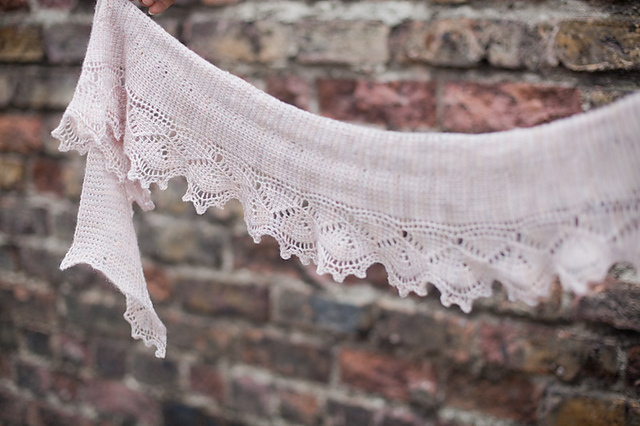 I really like the shawl design below, it's called Honeymeade. Even though it's undeniably lace, the grid-like appearance of the fabric lends it an air of simplicity - in an ocean of floral and frothy motifs I think this one stands out as super sophisticated. On her website and blog you can see her designs come to life from inception to completion, learn the technique for free and then when you’re ready you can buy the patterns. She also gives a great insight into modern yarny life in Dublin, if you’re into that kind of thing. Which I totally am. Wow, they look amazing! Must check it out. I've had limited experience with Tunisian, I must get experimenting too. I've seen these before! I drooled all over Raverly! They are so pretty! Thank you for this post, I must learn Tunisian crochet! The lace looks amazing & I can't believe it's crocheted. I have seen Tunisian crochet & it looks like knitting. That is unusual and a beautiful end result. Always fun to learn something new! Strange how you have mentioned about Tunisian crochet. A friend of mine has in the last few weeks told me about tunisian crochet after I asked did she know what this odd looking crochet/knitting needles was used for. I have since found a bit of information about it and will give it a go. I hope my knitting needles don't think my hands will be cheating on them if I do Tunisian crochet!! lol.